Cuttlefish are hands down my favorite animal. These strange little creatures have three hearts, blue-green blood, can alter their skin to match an enormous range of colors and textures even though they can only see in shades of green and are intelligent enough to change their defensive strategies based on the type of predator they are facing. Below is fascinating hour-long Nova special which does a great job explaining how their skin functions as well as exploring their intelligence and odd mating behaviors. 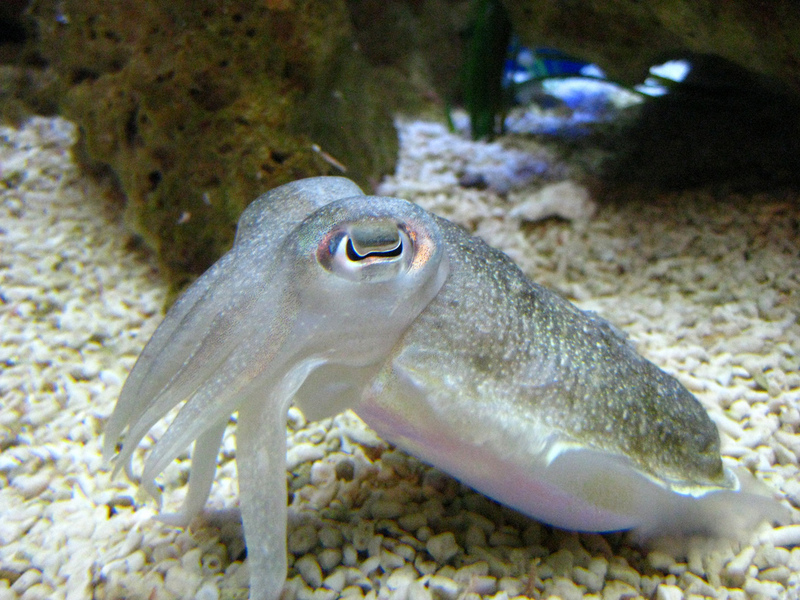 This entry was posted in Uncategorized and tagged cephalopod, cuttlefish, Kings of Camouflage, Nova, ocean, Science. Bookmark the permalink.